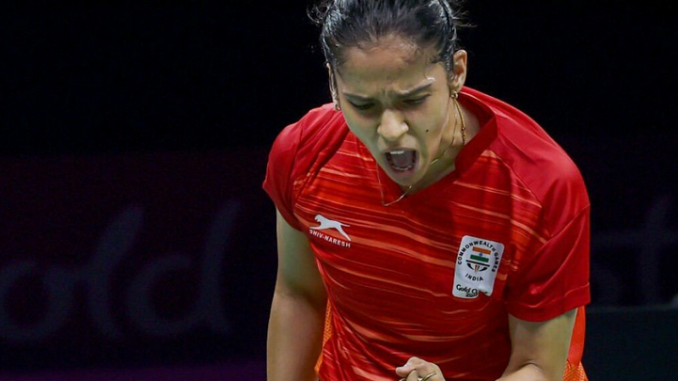 Continuing the comparatively better start in 2019, Saina Nehwal entered the second consecutive final of Indonesia Masters. A win will make her only the second Indian after HS Prannoy (2014) to emerge winner in this event. She has set up the final against Carolina Marin, against whom she lost the semifinal last week at Malaysian Masters and also who has defeated PV Sindhu in Quarterfinals and third seed Yufei Chen in semifinals on the way to her second consecutive final of the year after finishing Runners up at Malaysian Masters last week. Playing first time against 2015 Indonesia Masters winner He Bingjiao of China, 8th seed Saina emerged winner in a tough semifinal clash. Overall 7 nations are represented in the finals scheduled tomorrow. Kidambi Srikanth and PV Sindhu lost the Quarterfinal matches. While top two seeds were knocked out before, Women’s Singles semifinals had two from China including the third seed and one each from India and Spain. Both semifinals went to the wire and lasted almost an hour each. Playing first, 8th seed Saina Nehwal knocked out 6th seed He Bingjiao from China, while 5th seed Carolina Marin defeated third seed Yufei Chen. This is the second consecutive final for Carolina, who lost the final at last week’s Malaysian Masters where Saina lost the semifinal to her. After last week’s semifinal loss, Saina trails Carolina 5-6 in career meets. Carolina won 17-21 21-11 23-21 in 1 hour 6 minutes. Denmark had two semifinalists in Men’s Singles, previous top seed and current 6th seed Viktor Axelsen lost to top seed Kento Momota from Japan, while unseeded Anders Antonsen defeated Janatan Christie of Indonesia. In their last three matches, all played in 2018, Momota leads Antonsen 3-0. The final of five events will have finalists from 7 nations where Indonesia is assured of Men’s Doubles title with all Indonesian final and has another pair playing Mixed Doubles semifinals. Japan has two finalists, while China, Denmark, India and Korea have one finalists each. From last week’s finals at Malaysian Masters, only two have entered the second consecutive finals. Men’s Doubles top seed won there, while Carolina Marin settled with Runners up. Marcus and Kevin are also the defending Indonesia open champions. Saina Nehwal lost 2018 finals to top seed Tai Tzu Ying (Chinese Taipei) 21-9 21-13. Top seed Nozomi Okuhara was knocked out in first round while second seed PV Sindhu lost in Quarterfinal to Carolina Marin. Last week’s Malaysian Master’s Champion Ratchanok Intanon lost QF to third seed Yufei Chen.